But are Docomo devices really unlocked? I seem to remember that they will charge you for a temporary SIM unlock, that you can lose again if you clear the system to factory settings after a hard crash. That was only an issue with the GN pre-4.1. Yes they are. That was a problem that was limited to the Galaxy Nexus because it was the only phone ever made (AFAIK) that stored the SIM lock state in the user-erasable data partition. A factory reset wiped the SIM lock state. NFC will be on the SIM card? I hope beyond hope you are right. I've gone as far as emailing Tim Cook of Apple if he could talk to Son-san on the matter, right after the news broke that Tim Cook was the one that spoke to AT&T about their unlocking practices. I didn't get any reply--who knows if he even read it or it even made it past the people I assume screen his mails--but shows how much it was annoying me. The thing that infuriates me the most about staying with Softbank is that even after I'm done with the contract they won't let me use my phone. Even if I buy it outright from them, still no unlocking. If DoCoMo does go with the iPhone (in and of itself is amazing since that would mean that DoCoMo finally ate crow and admitted that they couldn't force Apple to install their crappy and expensive services--something you really don't expect from the elephant in the room that is NTT), I'd love to see this as what finally pushes Softbank to give up their unlocking stance. Or if it doesn't I have no problem switching to DoCoMo. I think it's a nice dream. From what I've seen, carriers treat iPhones as a special device. They don't put the usual bloatware on the iPhones, iPhones get special rates and services, etc. I can see Docomo making an exception for the iPhone, not to provide SIM unlocking. There is no benefit at all, for both Docomo and Softbank. Do you think Softbank will start to SIM unlock iPhones, if its possible for a Softbank subscriber to get their iPhones unlocked and go over to Docomo? I don't think so. There's a very good reason for that. It's part of the contract that Apple has forced on the carriers, and Docomo specifically cited this as part of the reason they'd never came to an agreement. Docomo would have had to price data plans for iPhones at a lower rate than for any other smartphone. Docomo would have also had to promote the iPhone over any other phone. This was evident when the HTC Desire was released by Softbank. It had a more expensive data plan and the staff would actively push you away from it to the iPhone. Docomo has stated time and again that their reason for pushing SIM unlocking was not for the iPhone. And they have since stated that they will unlock all their phones. They made their bed, and it'll be a major embarrassment if they don't lie in it. Whether or not SBM will unlock iPhones depends on how much customers demand it. If they revolt like they did with KDDI offered free tethering and 5 times the data quota for their iPhone, history has shown that SBM will have to crumble to demand. I hope SBSDroid is right as I am using a legally unlocked iPhone4 on the Docomo network and would bite the bullet to switch to Softbank in case Docomo would not be selling the iPhone 5S. 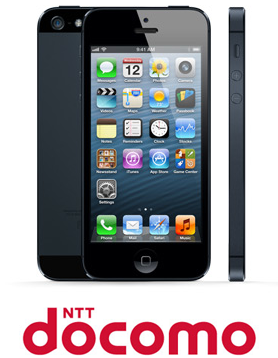 Unlocking the iPhone (even if it would be after 2 years) would be a compelling reason to stay with Docomo. However, I would assume that the majority of (Japanese) customers don't care whether a phone is locked or unlocked as it doesn't really matter for them unless they are travelling a lot overseas. I truly hope that Docomo will carry the iPhone 5S as this would create serious competition for Softbank and break another bone of their spine of arrogance. How amazing would it be if we got TING in Japan and we wouldn't have to discuss how crappy the Big three are are...dreams are free. Are Japanese consumers really interested in SIM unlocked phones? Sure, we want unlocked phones. My wife, mother in law and father in law had never heard of a SIM. None of my students knew what a SIM was either. I think there is some chance Docomo will not unlock the iPhone. I don't think Docomo are above amending their promise to "unlock all phones except the iPhone". Softbank and KDDI obviously see some advantage of not offering unlocks, so rather than offering something almost one one wants on top of the merits of their network etc, I think they might just join in on the game. I had already decided that I would get an unlocked iPhone on Docomo this year. I don't know if anyone else agrees with me, but I think KDDI's signal is getting worse. I used to at least get a full 3G signal, but now the 3G and the LTE are about the same. As soon as I go indoors signal drops down to one or two bars and off goes LTE. In some parts of my school there's no signal at all. If Docomo does offer unlocking that'll really make my day. It'll save me importing a phone and being able to use LTE, easy use of carrier email, etc. Maybe I'm over-thinking it but I'm not taking an unlocked Docomo iPhone for granted. The SIM unlocking is probably not what will make the consumers fly from Softbank to docomo... as stated in the comments, most Japanese don't even know/understand what a SIM is!! However, Docomo still has an extremely high image of signal quality among japanese people and if you ask anyone to chose between carriers for the same device, they will most probably chose Docomo. One other thing is the family plans at Docomo (ther others might do that), that gives you free calls among familiy members: I see a lot of friends keeping two contracts, one on Docomo for famailiy free calls and the other at SFTB for the iPhone!! So my humble guess is that Docomo's name and reputation alone will bring customers back. As for the unlocking, as stated in the comments, I think Docomo will propose it as for any other device. The phone will be free if kept 24 months, but if you try to leave, you'll have to pay the remainder and lose the subvention. Compared with the US, I think the Japanese carriers provide a very good data plans for when your roaming overseas. I hope your right... We need someone to shake things up. I'm still extremely pissed because I have 5 iPhones from Softbank (3G, 2x 4, 4S, 5) which are all pretty useless because they are SIM locked. I'd happily pay 3000yen to unlock them as then I can either resell, or more likely, give them to other people and use them as they are still decent devices. I also have no issue switching to Docomo - looking forward to the launch so I can saunter into my local Softbank shop and go "give me a good reason not to MNP to Docomo"
Make enough noise and they'll soon find out. Please go to a Docomo shop and let them know that you would switch immediately from Softbank to Docomo if they unlocked the iPhone as NTT Docomo obviously has not yet decided whether they will unlock iPhones. I will stop by at a Docomo store today and ask them exactly this question, (naively) hoping that they communicate this back to the headquarter. Again, as mentioned several times in this thread, unlocking phones is walking a tightrope as it might attract some customers while also opening the door for customers to switch to another provider, assuming they would allow unlocked phones on their network. Not sure if Softbank allows unlocked iPhones on their network. SBM does not allow it, though it can be done. I could see DCM waiting until the last minute to announce that they'll unlock them to put a last minute whammy on SBM. So it wouldn't make any sense to go to Docomo, get it unlocked, and then hop to SBM paying the unlock and early termination and SBM handset charge just to get a SIM. The biggest issue with unlocking in Japan is there is nothing you can really do once you have an unlocked phone - the big 3 don't have any good SIM-only plans, so the big thing will be not just providing unlocks, but also providing a way to use the phone. Assuming Softbank allows unlocks, if someone (Docomo) also provided a decent SIM only plan they could really rip into their userbase.